Hooks on which to hang coats, jumpers, hats, and scarves are common around the house, but that doesn’t mean they need to be boring. 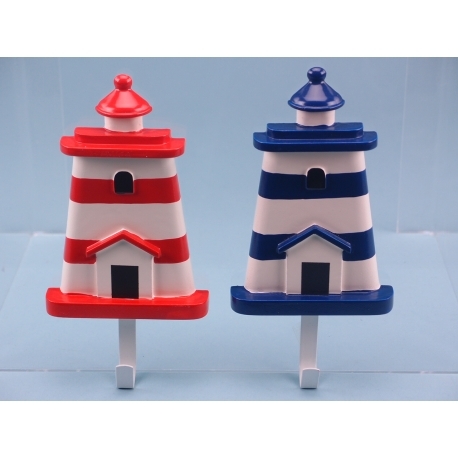 With these lighthouse hooks, your customers can add a splash of colour to their homes, welcoming in the seaside. 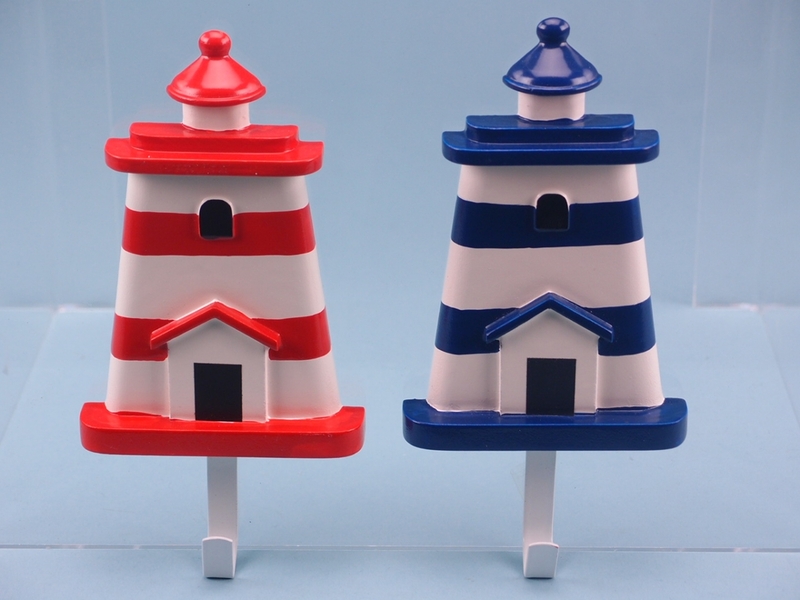 There are two lighthouse hooks, one of which is painted in red and white stripes, the other in blue and white stripes, all nautical themed colours. The lighthouse hooks measure 17cm in total, providing a sturdy, strong hook from which to hang large items such as winter coats. Reach out to stock these lighthouse hooks in store.